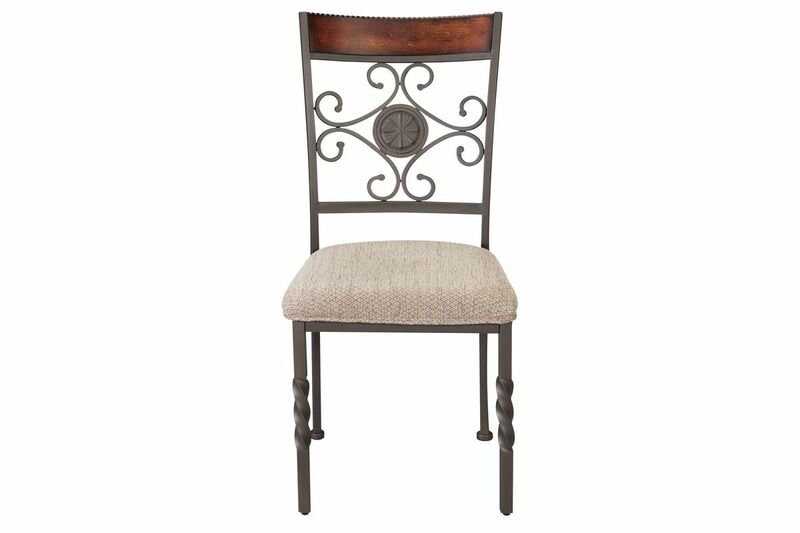 You'll love the simple and elegant style of the Sammy Collection. 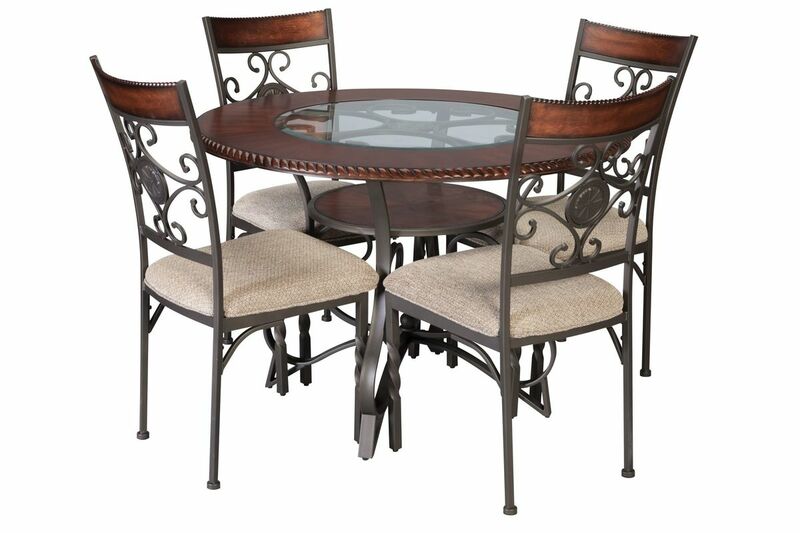 The metal bases on the table and chair legs are beautifully crafted and designed. 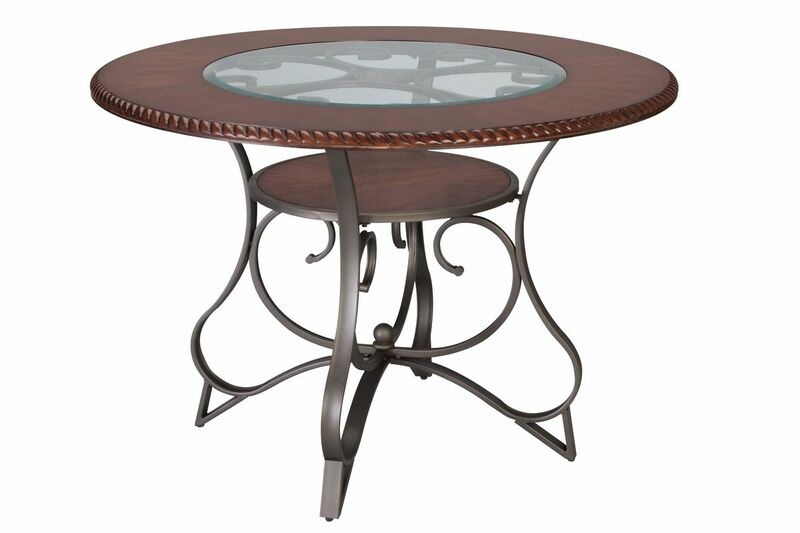 The table has a cherry wood finish top with a glass center. It also features a shelf below the table top to store extra plates or decor. The chair seats are covered in a soft, tan fabric. 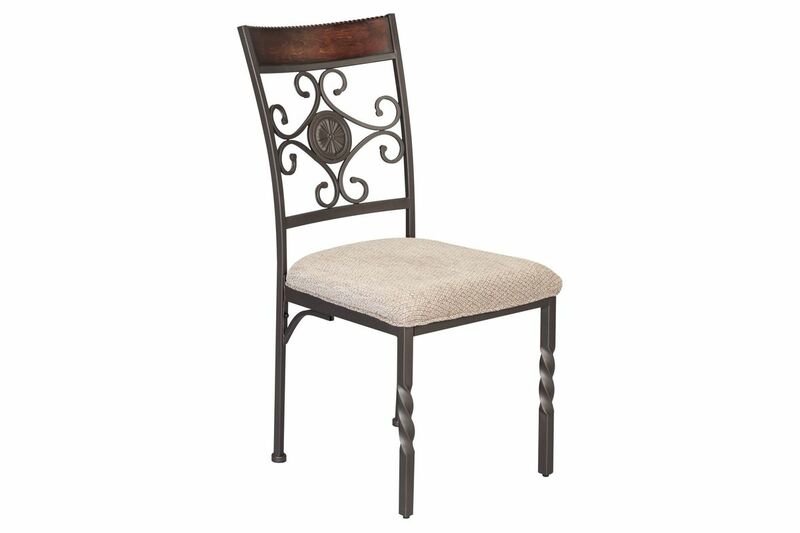 The chair backs have beautiful metal design, topped with a cherry wood finish. 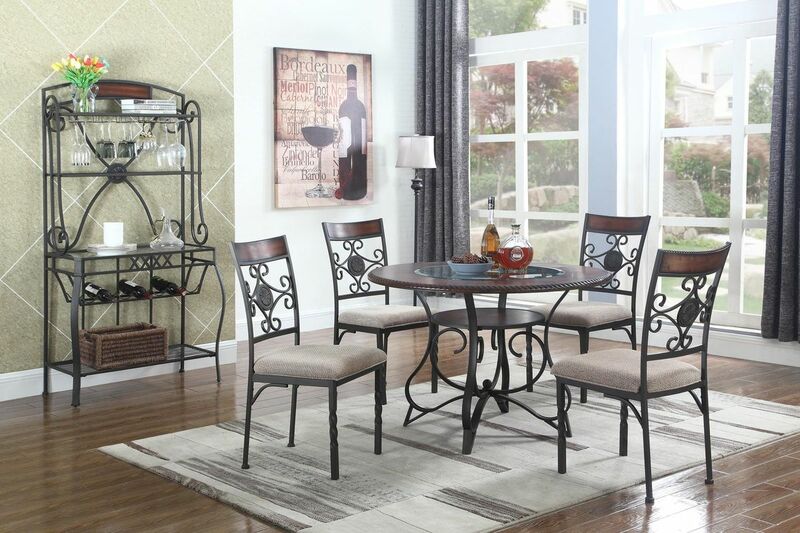 The Sammy Collection is perfect for smaller homes or for those looking for a simple style.